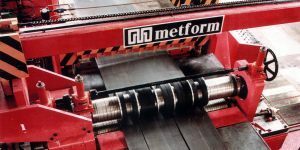 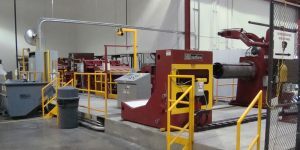 Metform's slitting line design and manufacturing includes a range of products for hot and cold rolled steel, stainless steel, aluminum and non-ferrous materials. 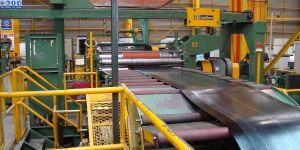 The capacity range is up to 2500mm in width, 0.006” - 0.120” (0.15mm to 3mm) strip thickness, coil weights up to 35 tons and line speeds of up to 1000 fpm (300mpm). 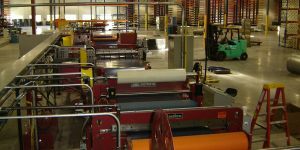 Every slitting line is designed and built to order based on each customer’s production requirements. 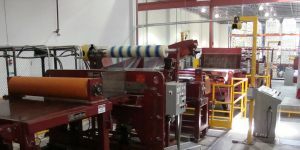 We offer various features which include automatic brake control, automatic changeover systems for slitting heads, rapid threading systems, automatic coil banding equipment and inspection systems. 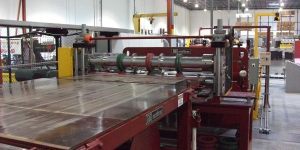 These features allow us to deliver heavy duty, service centre reliable and high productivity slitting equipment. 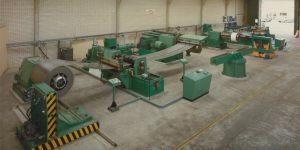 Standard or custom lines for you range of product.